Someone got a good deal! Did you do any mods?? My buddy is looking for a 899/959 but haven't seen any touch 8k around our way, except one but that had 3x as many miles as yours. Continuing with the next part of this build, im almost caught up. So now its about december and the bike is in hibernation. This is about the time my black friday purchases came in. 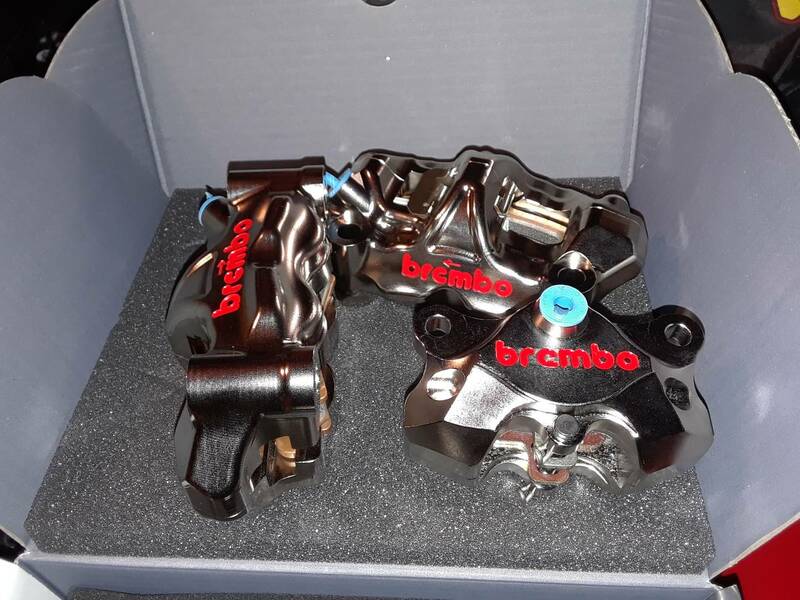 Im re doing my whole brake system, step 1 arrived in the form of the Brembo GP 4 RX calipers, with the matching rear caliper as well. And step 1 of cleaning up the cockpit was Zeta Flight clip ons. These are made entirely of aluminum and titanium (the nuts and bolts). 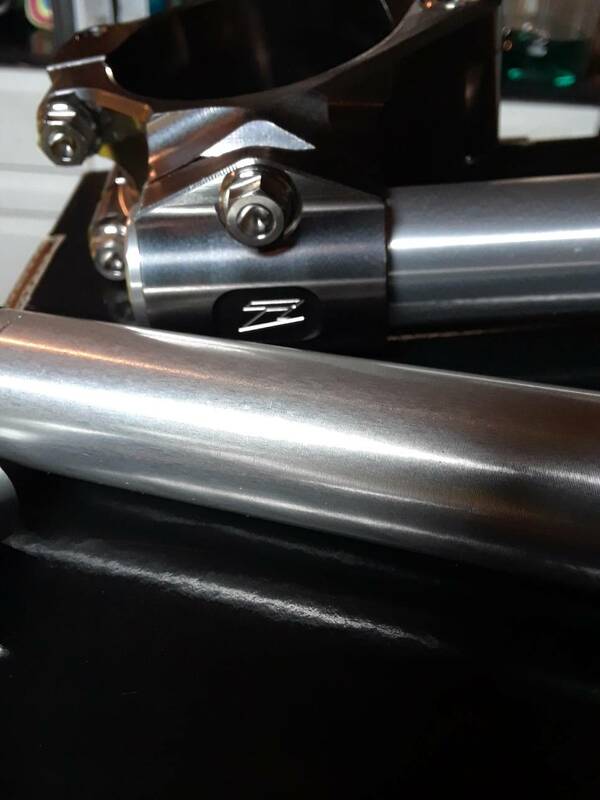 They come with black handles although i ordered a polished aluminum replacement set i will run. I also grabbed my old Zeta lever gaurd from my ZX to complete the set up. 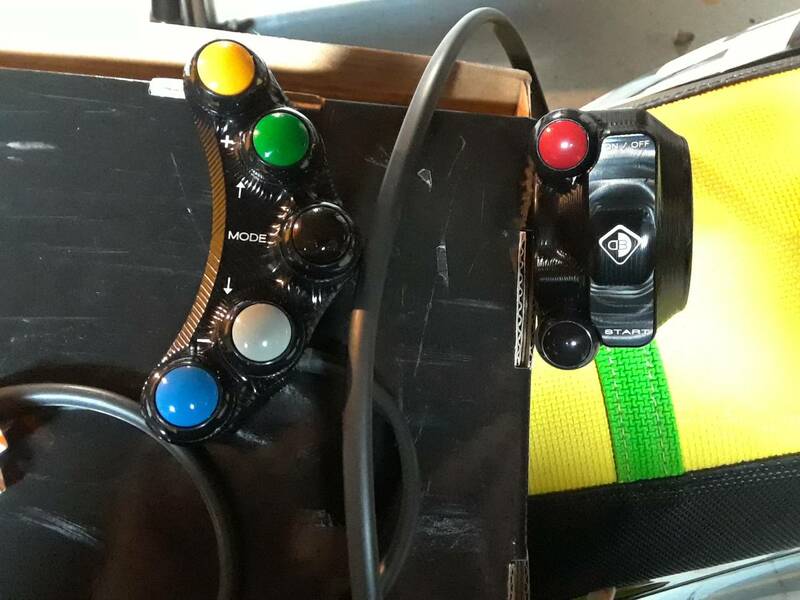 I also ordered the Ducabike button controls from belissi during their black friday ducabike sale. I had a universal set for my zx i had to splice in but these are plug and play and are much cleaner. Well worth the extra money. 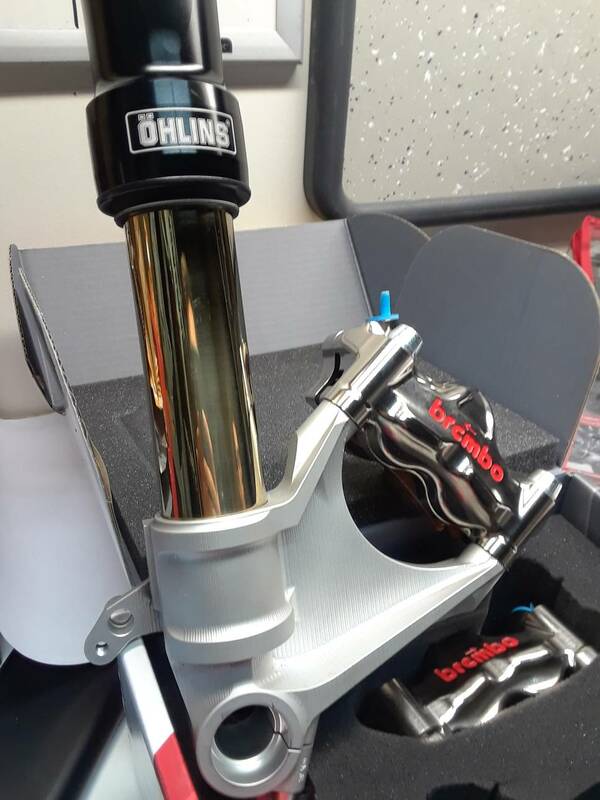 Can't wait to see that swingarm on your bike, will be super cool! 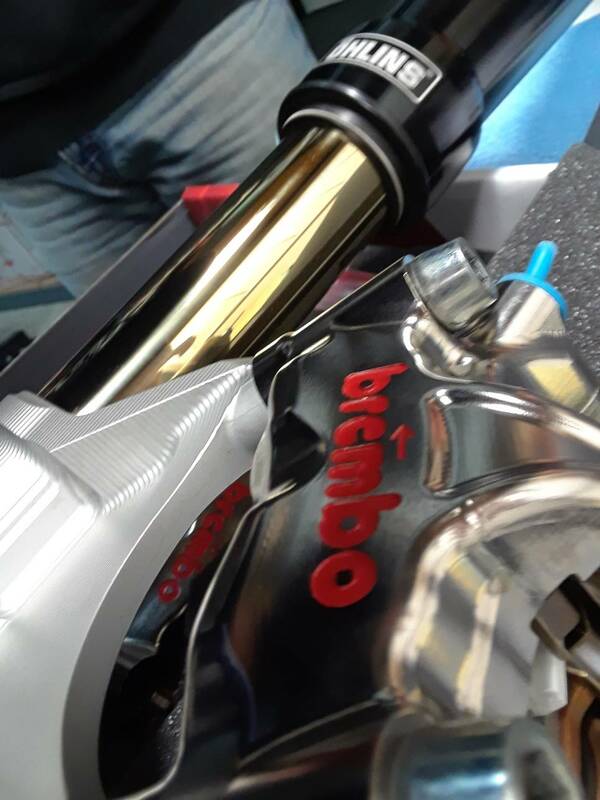 Brakes look bass A$$, Karl cant wait to see that this summer, I will be up June 16 and 17 and again in Aug 11th and 12th. Sold it with Woodcraft rear sets, Woodcraft axle guards, Woodcraft bar ends , Woodcraft clutch cover and spools. Ok, back to this build!!! This is the last of the pieces that have arrived prior to starting this thread. But we are right on time because the next major piece should be here tomorrow! 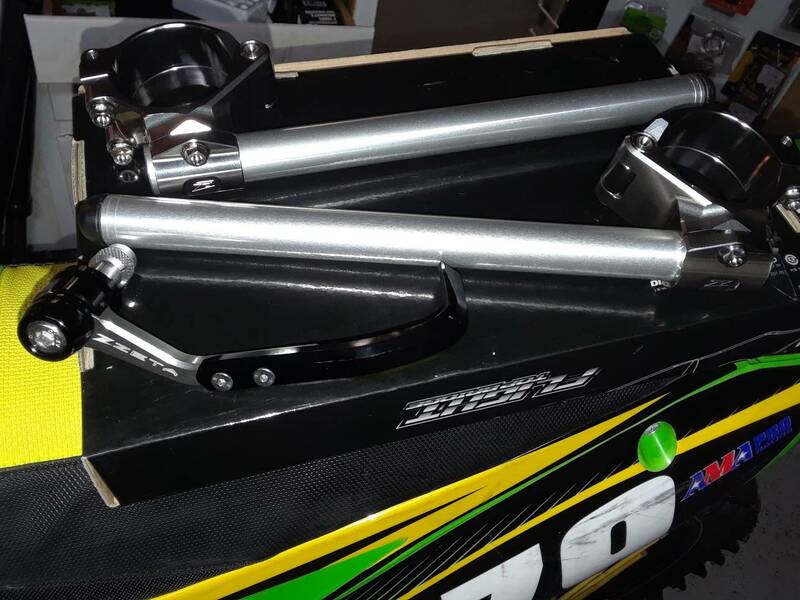 Anyways, for front suspension i grabbed a set of FGRT forks, these are so cool. 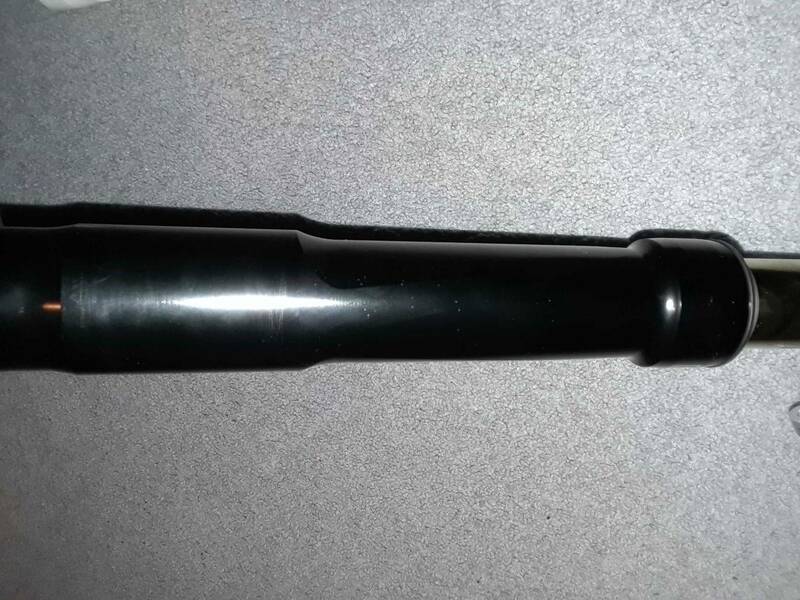 They have aero dynamic upper fork tubes (theyre flat on the sides rather than round for less drag) Ti Nitride lowers, and come witg the NIX 30 cartridge. I was considering just the cart kit and doing all the coating myself but at the price i got them for it would actually be more expensive to modify the stock units. 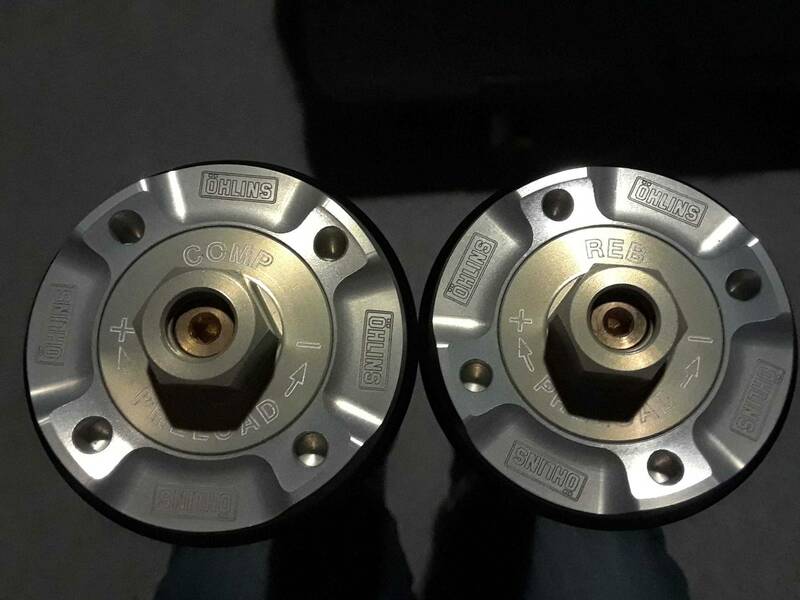 Obviously that means theyre used so ill be breaking them down replacing all bushings and the seals and re spring this. 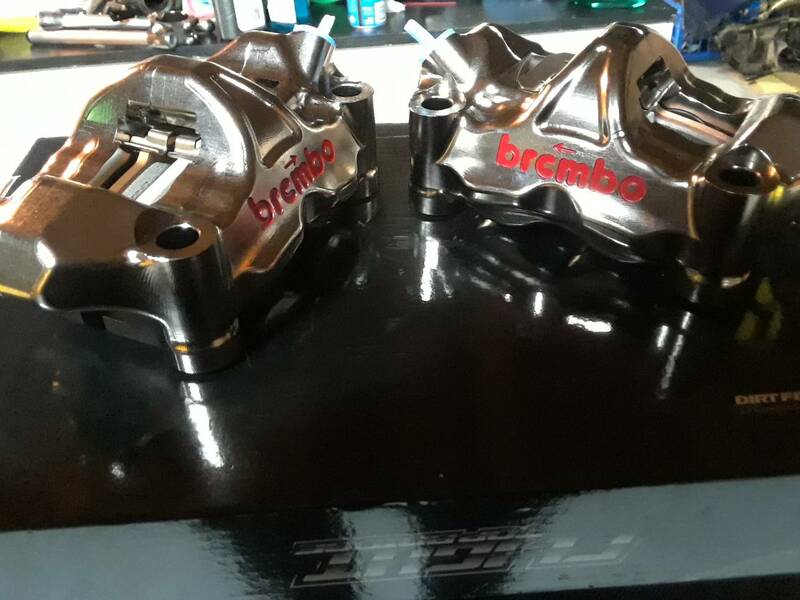 When i open them up i will compare the NIX 30 to the my K-Tech RDS 25 kit from the ZX, theyre so alike (besides valving and piston size) its scary. The manufacturing has to be outsourced to the same company. Some of you may have noticed the dents in my tank. 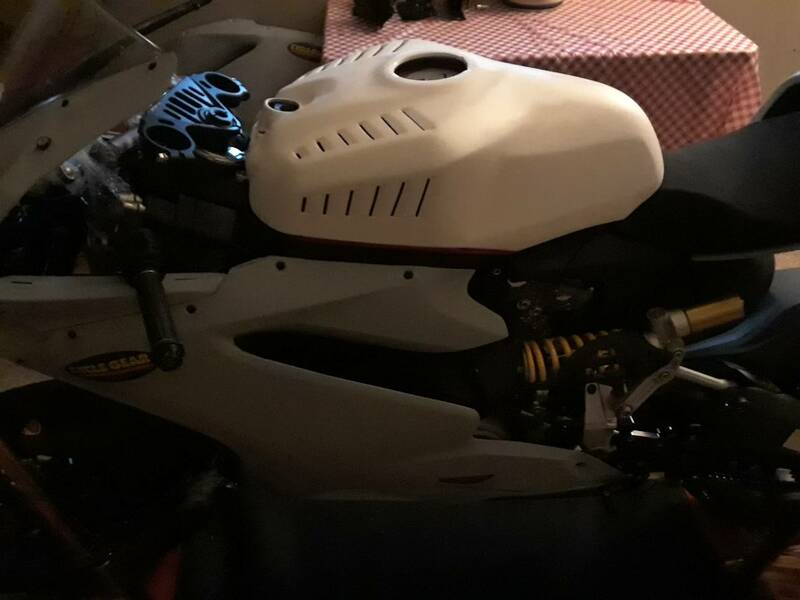 Rather than fixing it or buying a tank (at least for this season) i decided to buy the Flamingo Corse vented GP fiberglass cover/protector. Although i wanted to reduce weight i also wanted a certain look and this is exactly what i was going for. Helped my budget to do this rather than a new tank as well. The deal ill make to myself is just fill the tank half way and that will make up for it being a steel tank underneath LOL! 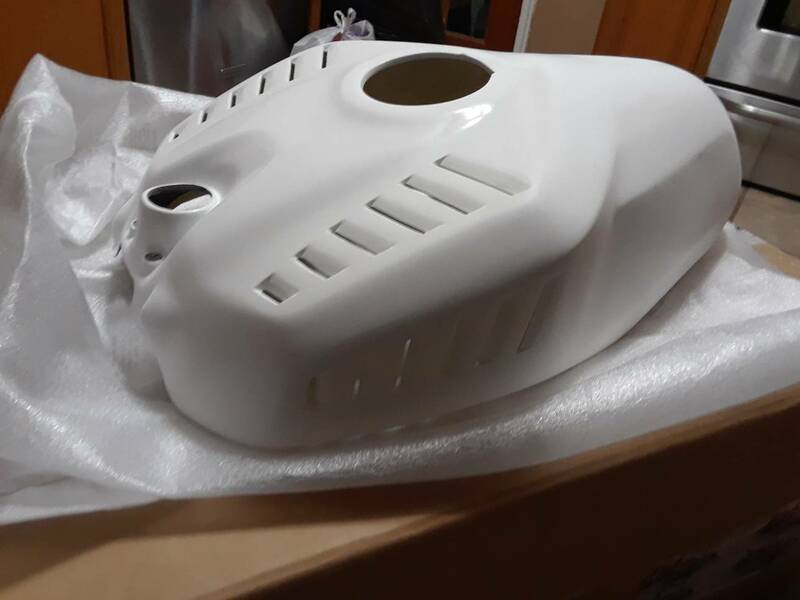 Btw the pictures show the tank cover placed on top rather than fully installed so it is a little off. I can comment on fit after i paint and everything.